Home Choice Plus is a common allocations scheme which operates across a number of Local Authority areas. This scheme has been developed by the Local Authorities and Registered Social Landlords, working together in partnership. The scheme gives applicants a single access point, as you only need to be registered once and this will then allow you to ‘Bid’ on any of the vacancies advertised across any of the participating Local Authority Areas. 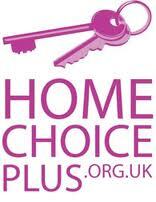 Home Choice Plus – Working in partnership to offer a choice from a range of housing options, for people in housing need.